Unit Plan: I Can Code! How can I express myself to achieve a goal? How will teachers reflect on and evaluate the completed project? I can use my words or actions to give directions and accomplish tasks. I can use my words to ask others to do tasks. Left and right are ways of distinguishing direction. I can control the computer with the mouse and keyboard. Computers receive directions from users. The computer is a tool I can use to accomplish tasks. Coding is a sequence of tasks that a programmer gives a computer. 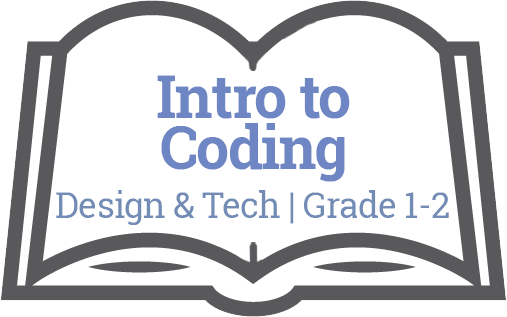 I can use coding to create products or actions online. Students are expected to use the learning standards for Curricular Competencies from Applied Design, Skills, and Technologies K-3 in combination with grade-level content from other areas of learning in cross-curricular activities to develop foundational mindsets and skills in design thinking and making. I get ideas when I play. I make my ideas work or I change what I am doing. Learning that is holistic, reflexive, experiential, and relational (focused on interconnectedness, on reciprocal relationships, and a sense of place.